The Texas Republican praised the caller, saying that he was “so grateful that there are people like you that understand just how detrimental this president has been to the ongoing of this country, we’re really at risk, like, now,” but cautioned that impeachment isn’t likely to happen until Republicans win popular support for such a move. 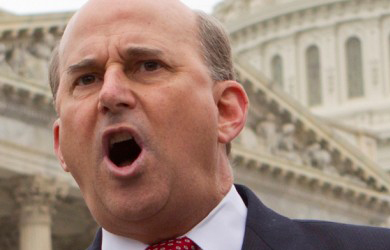 Gohmert added that Congress would be right to impeach Obama but won’t do so because “there are not enough in the people in the country, across America, that want him removed from office before his office is over,” at least, not yet. As he explained, the GOP attempt to impeach IRS Commissioner John Koskinen may pave the way for Obama’s impeachment.